If Merriam Webster has multiple definitions of “community”, it’s no surprise that you might also. More likely than not, how you view community is informed by your individual experience with a variety of group dynamics. Perhaps if you were one of the “cool kids” in school, then community might just be your favourite word. But then again, maybe not. So this week, we’re wondering, how do you create community? We started by asking our team to weigh in. Is it about openness to new ideas and diverse perspectives? Asriele Stubbs, VCM Access Innovation Manager – Overtown thinks so: “we all need to understand how important it is to collaborate together and build our community to scale.” Check out our conversation with Pam Giganti on Your South Florida to learn more insights on creating community through our work in Overtown and greater Miami. “Yes, innovation is for EVERYONE,” explains Dwight Spencer, VCM’s Storytelling Lead, as he reflects on our theme for 2019. We believe communities connect through the stories we share with each other. 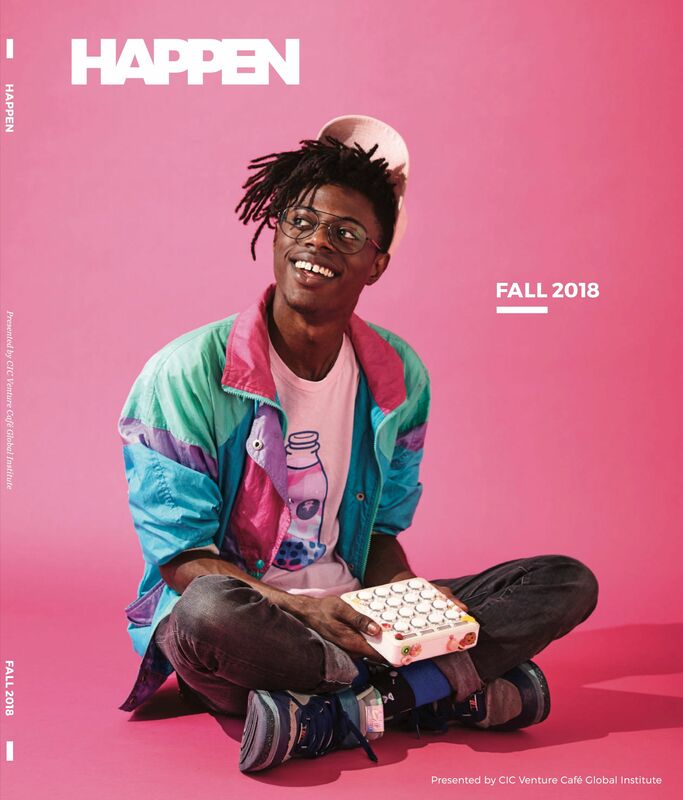 The inaugural HAPPEN magazine contains a fascinating collection of stories of innovators from Miami and throughout our global network, take a look. At VCM, we’re slightly obsessed with building an authentic community, which to us values meaningful connections over visibility. Just like Merriam, we believe that at its core, community requires the creation of space where many different kinds people can interact with each other– no with pretense, but with purpose. So see you back for the FIRST #ThursdayGathering of 2019 on January 3rd. Let’s make this a weekly habit that will stick.